Anyone who's tried to buy a home in Vancouver lately knows that inherited money really improves the chances of success. As it turns out, inherited wealth isn’t just a human concept. Squirrels do it, too. Anyone who's tried to buy a home in Vancouver knows that inherited money really improves the chances of success. As it turns out, inherited wealth isn't just a human concept. Squirrels do it too, according to researchers from a new study. "In the red squirrel world, the system is very similar to what we see in many cities," said Stan Boutin, a professor in biological sciences at the University of Alberta. "Every individual or family owns a little piece of real estate and they defend that real estate very vigorously against everybody else." 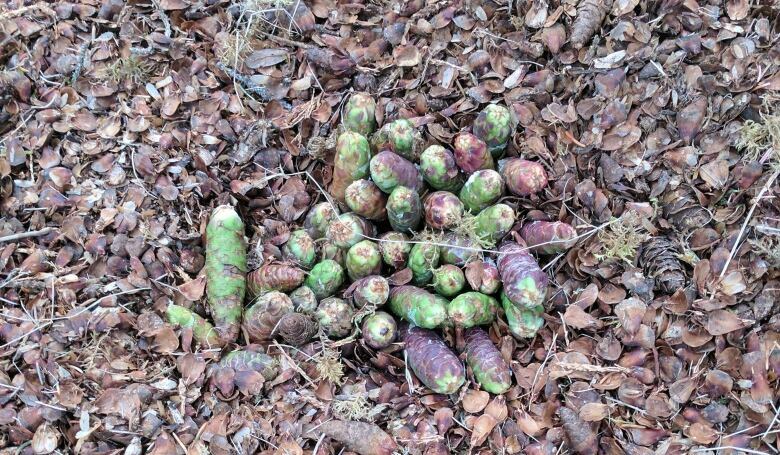 For squirrels, that real estate is the food caches of cones from spruce trees that are collected and hidden away to use throughout the winter. "That food resource is really pretty crucial to the long term well-being of any individual squirrel out there," he told Stephen Quinn, the host of CBC's The Early Edition. Boutin recently co-authored a new study looking at the impact of food abundance on the evolution of red squirrels in the Yukon. He found that young squirrels who have stashes of food left by previous generations grow up to be much more successful and have about 50 per cent more offspring. "Young squirrels face this conundrum in that they are born on their mother's territory but they can't stay there once they reach adolescence," Boutin said. "They're booted out unceremoniously at the end of the summer and they have to get out and look about for free vacant spots." The ones that find food caches hidden away by older squirrels, who have left the area or died, have hit the jackpot. Boutin puts the discovery of those caches more down to luck more than anything else. "Once you find that spot, boy, it makes a big difference to your life after that," he said. It's not exactly the same as humans, Boutin admitted, because the inheritances aren't typically passed down from parent to offspring. But there are nonetheless society-wide parallels. "There are some similarities in our human society in that lots of people build things much bigger than themselves," he said. "In the end individuals, benefit from that philanthropy in some way shape or form in the future."